This month is Pinktober at the Hard Rock Hotel & Casino Lake Tahoe, where event and merchandise proceeds directly benefit the South Tahoe Cancer League. 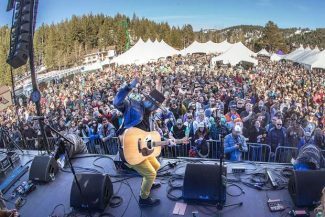 In honor of breast cancer awareness month, the hardest rocking hotel and casino on the South Shore is bringing entertainment and fundraising opportunities to benefit the South Tahoe Cancer League. “Pinktober has been around for 18 years, and the Hard Rock has been actively involved in the Pinktober cause for bringing more awareness and research dollars for years,” said Alisa Mirabel, the resort’s director of marketing. 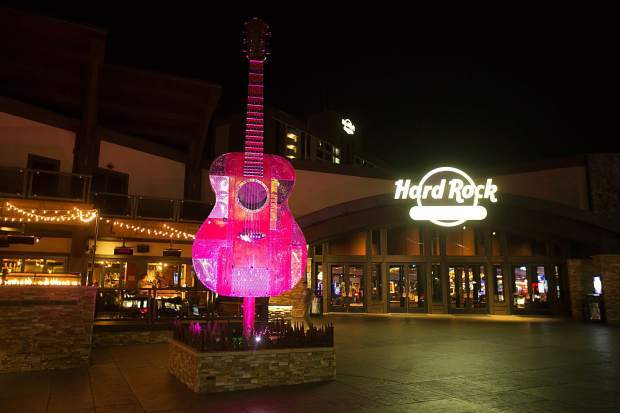 To raise funds, the Hard Rock is selling Pinktober apparel and merchandise, their signature Pink Hard Lemonade drinks and offering fun events to benefit the nonprofit organization; even the building is decorated in pink lighting. Hotel guests can opt to upgrade their accommodations for just $50 and stay in a Pinktober room decked out in pink linens and featuring a lakeside balcony. 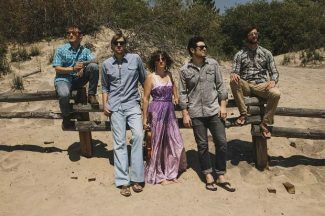 A series of benefit events are scheduled, including the Oct. 21 performance from Reno funk and soul act Mojo Green, a slot tournament for gamblers to win big money with only a $50 buy-in, and their highlight event, “An Evening with Dan Aykroyd”. Friday, Oct. 27 marks a three-hour event, including a cocktail reception presented by Aykroyd’s Crystal Head Vodka label and meet-and-greet with Ghostbusters and Saturday Night Live alumni. “We have great events like the slot tournament, where the buy-ins are contributed and we’ve already raised $2,000. This Saturday is Mojo Green’s official concert where tickets benefit the cause, then guests can wrap up the end of the month with the Crystal Head Vodka event bringing in Dan Aykroyd — we’ve layered on an interactive artist doing some amazing art pieces during the event to be auctioned off and signed by Dan Aykroyd at the end of the event,” Mirabal said. Behind the scenes, Hard Rock employees are taking the campaign to heart. 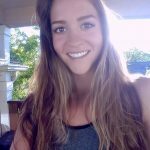 They aren’t putting on a show for guest-facing activation; they are passionately supporting the cause and having a lot of fun in the process. “Not all of our employees talk to customers, so the back of the house departments and support departments have decorated their doors and we’re having a contest for people to donate to the one they think is the best,” Mirabal said. About half of the resort staffers have purchased special Pinktober T-shirts to wear instead of their regular uniforms this month to support the cause. 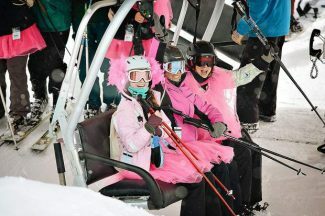 Entertainment, drinks, souvenirs and even room fees are all directly contributed to the South Lake Tahoe Cancer League. Mirabal said Pinktober is just another way for the Hard Rock staff to share their three core values: love all serve all, take time to be kind, and all is love.